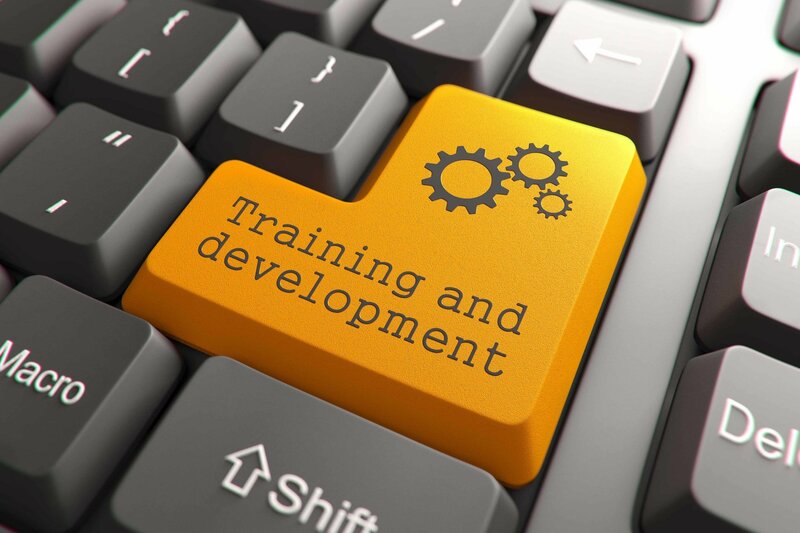 In this article, I'll discuss how to effectively analyze your company's online training needs, so that you can create an online training and development strategy that allows your organization to reap the many rewards that online training has to offer. Making the transition from face-to-face training to online training has offered a number of benefits to organizations. From improved employee performance to increased profits, the advantages of online training offer businesses a competitive edge in today's unstable business environment. However, in order to successfully implement it, it's vital to carry out an in depth analysis of your training needs beforehand. In order to determine your core learning objectives and to develop an effective online training strategy, you must first assess the current knowledge base and the skill sets of your employees. You should ask yourself: Is their current job performance high or low? For example, are they meeting their sales goals and are they effectively handling customer service issues? Carry out a thorough assessment to gauge where your staff is today, so that you can determine areas of training that you want to focus on moving forward. By doing this, you will also be able to identify which departments or groups need the most attention when you are formulating your online training plan. For example, if your assessment reveals that your HR department may need to brush up on company policies and hiring procedures, then you can custom tailor your online training strategy to develop their knowledge base and skill sets concerning these matters. Diagnose training obstacles that may be blocking employees’ performance. Carefully assess your current training strategy to see if it may be hindering, rather than helping, your organization. In many cases, you may find that your traditional training strategy may actually be causing performance issues, rather than remedying them, given that it isn't as effective as it should be. For example, employees may not have access to the resources they need, when they need them, or your current training courses may not be focusing on the right skill sets. Then, ask yourself: What is causing the performance issues that you observed? If you already implement online training, then you'll want to assess how you can improve your online training courses/modules/events to get the most out of your training efforts. Are there modules that may need to be shortened or lived up by adding graphics and/or videos? Are you updating your online training courses regularly so that employees can find out about the latest products or services your company is offering? To make a long story short, diagnosing current training obstacles that are standing in the way of employee growth can help you to pinpoint areas of improvement. Pinpoint areas of improvement based upon company’s mission and overall objectives. What are your company’s mission and objectives and how can you fill the current performance gap in order to align these with employees’ performance? Answering this all important question will enable you to pinpoint areas of improvement or concerns that may need to be addressed into your online training modules. What do you want to achieve through online training? Interview employees, conduct surveys, or carry out assessments in order to find out where weak areas exist, so that you can figure out how you can create an employee development plan that is in-line with company’s objectives. Analyze what content is necessary for company-wide growth. What information or data will you need to provide your employees in order to ensure company-wide growth? What is the core content that will help them to do their job more effectively? Are there protocols that you can share with them in order to enhance their on-the-job performance? This is a vital aspect of your online training needs analysis because it will allow you to determine which subject matter experts you may want to bring in during the development process, as well as which training materials you might need to provide during the online training sessions. While you are trying to assess your corporate training needs, knowing which information to include is just as important as determining what can be left out. After all, avoiding cognitive overload is essential to the knowledge acquisition and retention process. Only include what is relevant to the individual employee, and omit any data or information that may be unnecessary. For example, you won't need to include information about tech support or human resources in your sales online training module, as it will only confuse those employees and make the learning experience less engaging. Identify your audience and their skill sets. Learn as much as you can about who will participate in the online training program and what they will need to learn. In other words, you need to effectively analyze your online training audience. This can help you to develop an online training strategy that offers certain necessary skills and caters to individual employees. If you find out through a thorough analysis and data collection that your tech support department needs to work on their communication skills, you can then formulate a strategy based upon their particular needs. For example, their training might include niche-specific jargon and include scenarios that are based upon real-life computer issues they would encounter on a daily basis. Consider delivery methods and any technical limitations. In this article I'll highlight the most important tips that you may want to keep in mind when creating an asynchronous Learning strategy for your eLearning course. These asynchronous learning tips will enable you to develop an eLearning course that motivates learners and makes your eLearning modules engaging, exciting, and effective. Following these Online Training Tips you will get a clear and spherical view of your employees’ current knowledge base, skills, and performance. At the same time, you will also become aware of their weaknesses and areas of improvement. After a thorough assessment of the vital information that you gathered in each step, you are now ready to build an effective online training strategy! Want to learn more about Online Corporate Training? I highly encourage you to read the following articles.